Here is a Fun but Frightful Fact: Did you know an airport’s performance is considered acceptable if only 80 percent of its flights depart on time? I didn’t know that until I did some research and needless to say I was a bit surprised. For me, one of the worst parts of flying these days is when your flight gets delayed and you are stuck at the airport for what seems like and what could very well be a very long time, especially if you are traveling with younger children. 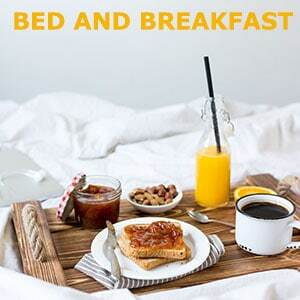 What is normally a long day of travel, starting from getting your family and yourself ready to get to airport then packing the car or waiting on your Uber ride to arrive, to the check baggage line and security check point. By the time this is done and your sitting at the gate waiting for your flight, the very last thing you want to hear come over the intercom is “Ladies and Gentleman, Flight Number (fill in the blank ) to (fill in the blank) has been delayed. 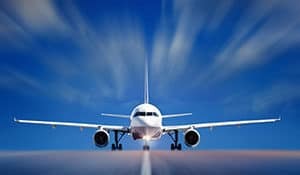 Unfortunately, regardless of whether you book your ticket with the same airline or if you booked your ticket on different airlines and with separate tickets, for most flights that this happens to, passengers are at the mercy of the airlines. Keep in mind that some of the reasons for the delay are within the airlines control and some aren’t but in either case your the one who has to do the waiting and seeing. This is regardless of whether you book your ticket with the same airline or if you booked your ticket on different airlines and with separate tickets, the results, even when it is obviously the fault of an airline, do not end well. Therefore, hopefully I can shed a little light on the situation and what you can do. 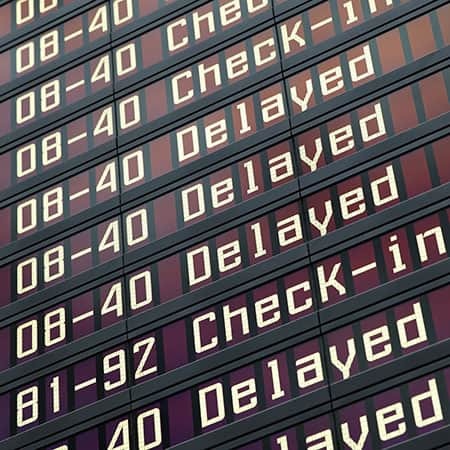 I ‘ll list the most common reasons on why flights are delayed, how you can minimize the chances of something happening to you on your next flight and if it does happen what you can do about it. Delays on one of the flights- If you have a flight itinerary that has you changing planes or making stop along the way, then if one of them is delayed, this can cause chain reaction of delays on all subsequent flights: The reason being that if any of your flights are delayed, then you may arrive at the airport, but the gate that the airplane was suppose to park in, had it arrived on time, is occupied by the next flight at the terminal. This plane will then stay there until it ready to leave and that causes delay in other flights which were supposed to operate from that same gate at the airport terminal. Bottom line: The late arrival or late departure of a flight causes a ripple effect to all of the following flights. Aircraft Maintenance Issues: This is probably one of the more popular reasons passengers hear that their flight has been delayed. It covers a slew of issues such as the technical and mechanical problems among others. These areas have to be checked and given the green light by airport and airline staff. When this type of delay happens, everyone on the plane or in the waiting area will have to wait until the flight is given the ok and is ready to go. Congestion in Air Traffic: This delay usually happens at the busiest times of the year such as Christmas Time, Thanksgiving, etc. since there are so many flights in the air at one time. In order to handle all this traffic Air Traffic Control sometimes needs to delay some flights for the safety and concern of the other flights. Unusual or Extraordinary Circumstances: Basically these are events that the airlines are unable to do anything about. This includes such weather related issues such as hurricanes, tornados and blizzards. It would also include other weather related scenarios such as Fog, Thunderstorms, Wind and Ice. These events are considered “Acts of God” and will undoubtely delay flights close to where these events are happening. What also falls under this umbrella is when there is political unrest or natural disaster. Security Problems: Unfortunately this is something that occurs more often then in the past and includes such things as a terror and/or a security threats. It can also be because of a security breach such as unauthorized opening of a security door or simply leaving a bag unattended for a period of time. When this happens the concourse or terminal could be cleared out and then the re boarding process has to begin again. Also keep in mind that at some very busy airports there are long lines at the security screening areas, and this may also cause a delay. Book a non stop flight – Note that I did not write a direct flight as their is a big difference. A non stop flight, as it states is a flight with no stops and you go straight to your destination. If you book a direct flight then you will often stop somewhere but you won’t change planes and some passengers will get off and other will get on. Anytime you add connections, your chances of getting delayed increase exponentially so try to book a non stop flight. Check out Flightaware – This website and mobile app will give you a better idea if your flight will be delayed before the gate agent makes the announcements. It works by taking data from air traffic control systems in over 55 countries and then telling you where your plane is at and when it will arrive. Don’t check a bag – What? don’t check a bag you say? If you’re concerned about your flight being delayed or cancelled, then don’t check your luggage. Once your luggage is on a flight, you could have a lot of problems trying to find it if you end up on another flight leaving later that same day or the following day. By just traveling with a carry-on, you’ll know where you luggage is at all times — and never be in luggage purgatory. When not to fly – Avoid flying at the beginning or end of the work week as those are some of the busiest times to fly. Try to fly on Saturdays as this is the day of the week with the least amount of delays. 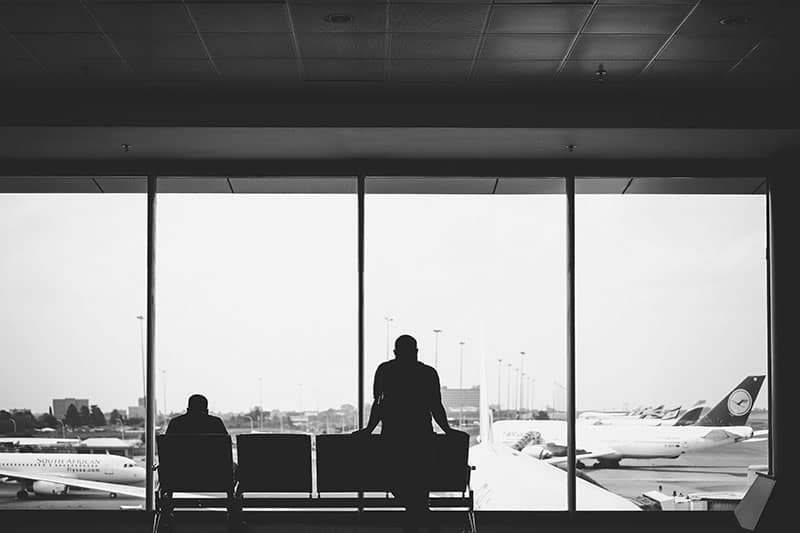 Avoid airports known for lengthy delays – If you want to play the odds here then try to not get a ticket from airports that are notorius for having their planes leave late. For example, the international airport at Chicago, Atlanta, Newark and New Jersey have quite a reputation for having a high percentage of delayed flights. Decide when to fly – You can’t control the weather, but you can pay attention to it. Try not to book flight going to the Midwest in winter, and avoid the Gulf of Mexico during hurricane season. Keep in mind that weather-related cancellations are more common for flights from smaller towns, while international flights will have priority. On the other hand, Kahului, Honolulu, Salt Lake City, Orange County, Phoenix, Seattle, San Jose, Minneapolis, and Las Vegas are the best for on-time summer travel. Try to avoid flying at traditionally busy travel times – For example, winter vacation or spring break. This increases your chances of experiencing delays so if you have to travel during this time consider arriving early and/or leaving late. There’s no way to completely avoid flight delays. A natural disaster, mechanical failure, or airline mix-up could occur at any time but you can minimize your chances by considering these points before and during your travels. 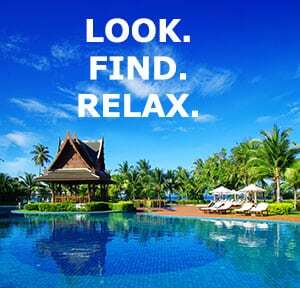 However, if you do end of getting delayed or think that you might, you should also consider travel insurance to help mitigate any lost reservations at hotels and charges to credit cards, as well as missed tours and cruises that the airlines are not liable to reimburse you for. You can also check out Airhelp.com – This website and mobile app tries make claiming compensation as easy and seamless as possible. They will do their best to get you paid if you are overbooked, bumped, delayed or have luggage issues and will put in a claim to an airline for you due to your flight disruptions. And finally, toend on a positive note, you may find some encouragement by the fact that in today’s day and age weather information available easier then ever and the technology available with our computers and satellites is simply amazing. All these tools are readily available to the pilots in the air and to the controllers on the ground. And this at least, lessens the chances of being delayed due to weather, and helps to try to avoid one of the major reasons for delayed flights.